The Lee Centre – nominated for Civic Trust Awards Regional Finalists. Feilden Fowles are excited to announce that the The Lee Centre in Bath has been nominated as a Civic Trust Award Regional Finalist. We look forward to hearing the verdict from the National Panel if the building is successful in achieving a Civic Trust Award, Commendation or Community Recognition at a National / International Level. This unique exhibition at the Jewish Museum, New York designed by Feilden Fowles in collaboration with A Practice for Everyday Life, opens its doors to the public today. 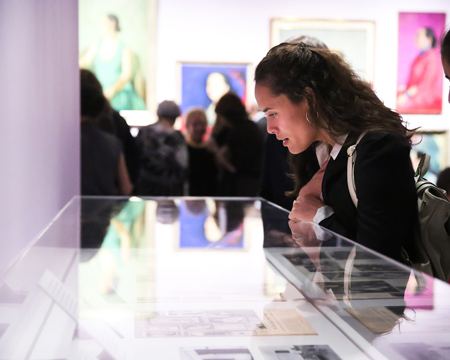 This is the first exhibition to explore the ideas, innovations, and influence of the legendary cosmetics entrepreneur Helena Rubinstein (1872 – 1965). Madame (as she was universally known) helped break down the status quo of taste by blurring boundaries between commerce, art, fashion, beauty, and design. Through 200 objects Beauty Is Power reveals how Rubinstein’s unique style and pioneering approaches to business challenged conservative taste and heralded a modern notion of beauty, democratized and accessible to all. Fergus & Edmund present at the Multistory Guest Lecture Series. 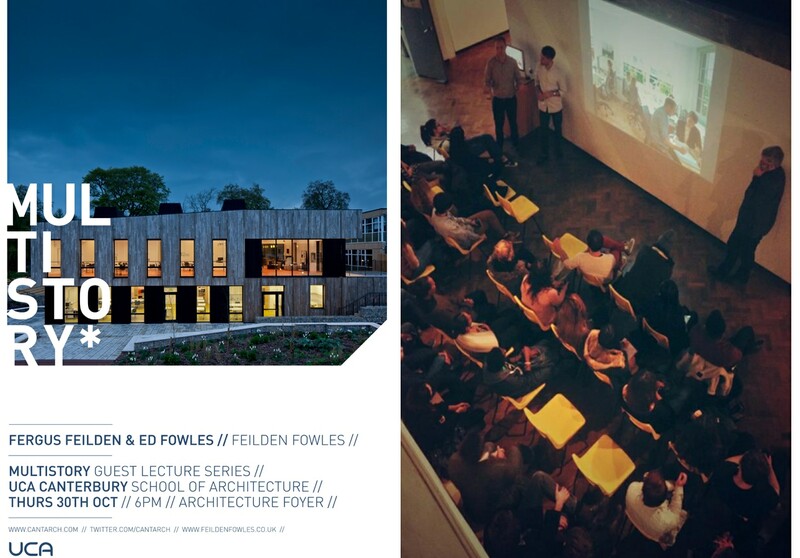 Feilden Fowles were delighted to be invited to present at the Multistory Guest Lecture series at Canterbury School of Architecture. Last nights talk was a great success with warm feedback from the students and tutors. Fergus & Edmund talked about the inception of the practice from their early projects through to recent completed education buildings, describing how their values and approach have shaped past buildings and define new opportunities in Education and the Arts. Other speakers lined up to appear in the series include 6a Architects, David Greene of Archigram and Lacation & Vassal. Feilden Fowles studio was recently shot as part of the Hackney Studios series by portrait photographer Jenny Lewis. See more of Jenny’s work here. 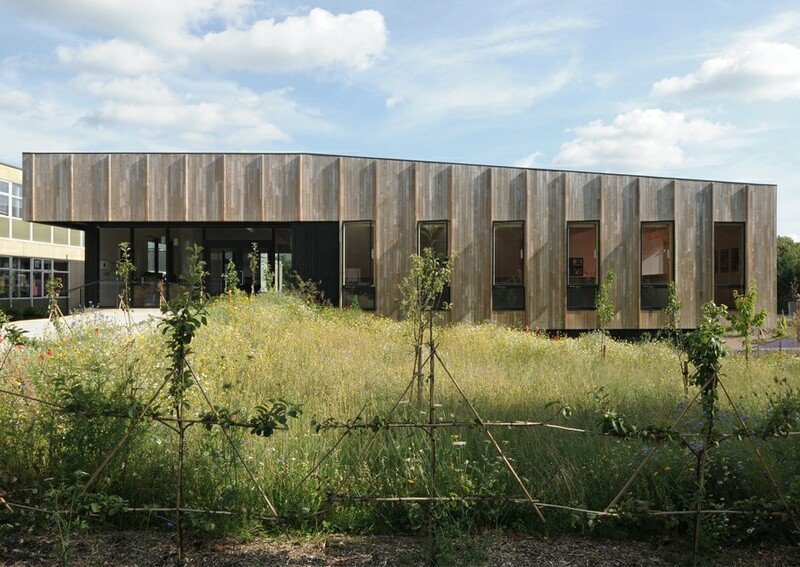 Feilden Fowles and Ralph Allen School were successful in a bid to the Department for Education to build a new ten classroom block. Having recently gained planning permission, the project has recently gone on site with an extremely tight programme finishing in February 2013. This pre-fabricated Cross Laminated Timber Structure has a suspended steel walkway to the north, serving the passively ventilated single-depth block. This project will be an exemplar austerity build and demonstrates the power of having an existing masterplan in place. It is the largest project the practice has undertaken to date. 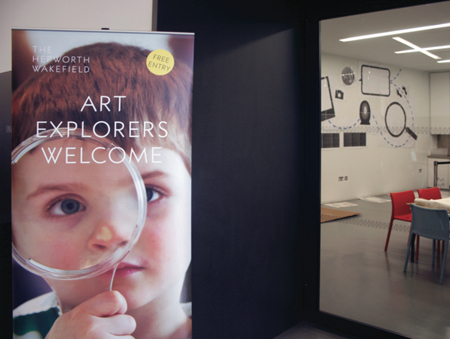 Following a successful competition bid, Feilden Fowles have been appointed to refurbish the Learning Spaces in the Hepworth Wakefield Gallery. The challenging brief must be carried out sensitively within the existing Hepworth building, and pushes forwards both our education and arts work. We are particularly excited to be working with the Hepworth Learning Team who are delivering an exceptional programme of events to a diverse audience. The scheme has successfully received funding through the Clore Duffield Foundation. 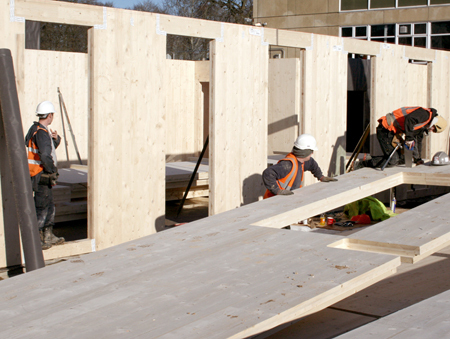 The Cross-Laminated Timber frame on our Applied Learning Centre is rapidly taking form. Eurban are erecting the frame in a mere 3 weeks and have been unaffected by the heavy snow. We will soon upload the time-lapse animation of the whole process onto our website. 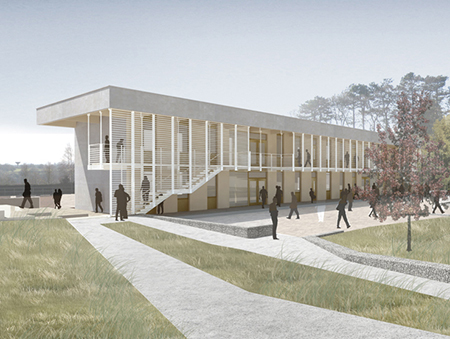 Feilden Fowles have just submitted their £1.6m Teaching and Learning centre to planning. The building is intended to become the new academic hub of the school. A flexible and innovative blend of teaching areas and learning environments. See more here. 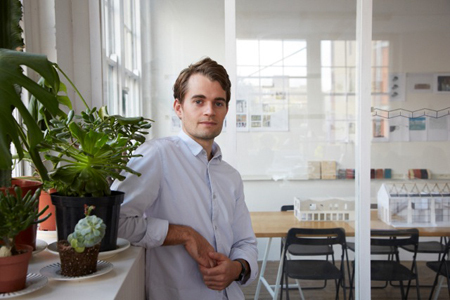 Last week Fergus Feilden was featured in Building Design’s Life Class. This is Somerset has run an article on the forthcoming Teaching and Learning Centre at Hazlegrove. Subject to planning approval, the centre is scheduled for completion in the summer of 2014. The 6,000 square foot facility is intended to be the “academic hub” of the school and will have “fluid” working spaces for individuals, groups and classes. Hazlegrove’s headmaster Richard Fenwick said: “We are delighted with the appointment of Feilden Fowles and the development of our new Teaching and Learning Centre.